Junius on UKIP: UKIP: Nigel Farage to fix MEP lists to favour sycophants and the highest bidders ... again! UKIP: Nigel Farage to fix MEP lists to favour sycophants and the highest bidders ... again! 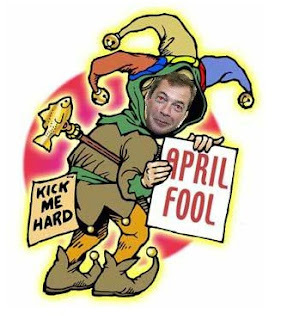 We note that Farage has told the NEC that HE will announce the MEP candidates lists and order of standing on 1st April 2014. Thanks to the recent constitutional changes, Farage now has the final say on who stands for UKIP and their position on the list: LINK. How apt that he has chosen April Fools Day for the announcement. 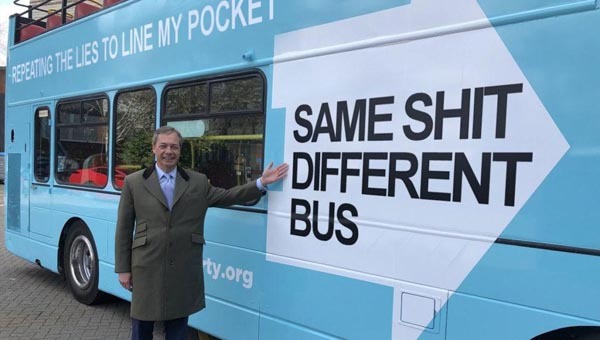 No wonder Farage looks on the ordinary members with contempt and smirks at their foolishness in allowing him to get away with turning UKIP into a dictatorship. Neil Hamilton - South West. And holding back the announcement till April gives plenty of time for potential bidders to buy their place on the list. 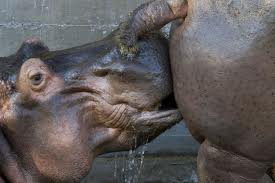 Now how much did Stuart Agnew and Godfrey Bloom promise the UKIP leader last time? And Godfrey, did you pay £30,000 or was it the full £50,000 in 2004?